Would you like to have the chance to earn the great Stampin’ Up hostess gifts, but don’t have many (or any) crafty friends? Do you not have the space in your home to host a party? Do you have a long wishlist of Stampin’ Up items and have a monthly budget for craft? Do you want a package of new crafting goodness to play with every month, without it costing you an arm and a leg all in one go? I am setting up the Deep Blue Crafting Stamper’s Club. There are currently a number of different options, until I am able to determine the uptake for this opportunity. I will outline the basic scheme, and then show each option in more detail further down the page. The Stamper’s Club is a “Virtual Hostess” opportunity. Each club has a number of members, all of whom commit to spending a minimum amount each month, for a specified period of time. If you are unable to meet your commitment, then you *must* find someone to replace your spend. Overall, each participant will spend a minimum of £150, to entitle them to the hostess benefits for one month of the club duration. The fewer the participants, the shorter the commitment period; but the higher the monthly minimum spend. When it is your turn to receive the hostess benefits, you can receive greater benefits by placing a larger order, or getting additional orders from your friends and family. However, this does not have any effect on the minimum orders that you have to place every other month – these remain fixed. The additional ordering is simply to increase the level of hostess benefits to which you are entitled. Without each participant meeting their monthly minimum, then there would be a situation in which one participant (or more) would not receive their benefits from being part of the club. 5 participants, 5 month commitment. Minimum personal monthly spend: £30. Minimum group monthly spend: £150. 6 participants, 6 month commitment. Minimum personal monthly spend: £25. 10 participants, 10 month commitment. Minimum personal monthly spend: £15. Whichever club you wish to join, the overall spend commitment is the same, and you will have one month (allocated at the beginning of the Club) in which you will receive the hostess benefits for that month’s order totals. This will include a minimum of £25 of free products of your choice from the catalogue, which can be spent on anything of your choice including the exclusive hostess-only sets. If you get outside orders when it is your turn for the hostess benefits then you can earn additional hostess pounds, and possibly even 50% off one or more full-priced catalogue items! Postage costs will be dependent on the delivery method. There is a flat rate per delivery for the items to come from Stampin’ Up of £4.95 which will be split equally between the participants. For each participant to receive their items is as follows: if you are local to me you can arrange collection from me for free, or the items will be delivered to you at cost by post or courier as appropriate. This is a great way of building up your Stampin’ Up collection, and having a chance to try out your new products in order to know which items you want more of in the next month. If you have a long wish list but only a limited amount of free spending money each month, this is a great way to spread the cost of your hobby. 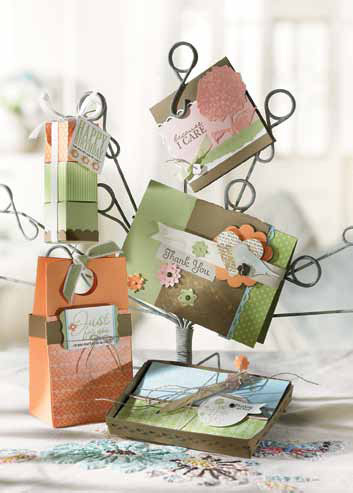 Whether you buy a stamp set one month, and ink and card another, or concentrate on building up your collection of stamp sets by buying a different one each month; the excitement of receiving brand new craft supplies each month is a wonderful way to keep your creativity flowing. Each participant will be given a current Stampin’ Up! Idea Book and Catalog if they do not have one yet. Each participant will get a chance to receive the hostess benefits one month. Hostess months are assigned in random order to be notified once all participants have signed and returned the agreement. Participants may swap their hostess month between themselves if another month is more convenient. The hostess for a given month may obtain outside orders if desired to increase the level of her hostess benefits. All members of the Stamper’s Club are required to spend the minimum £15 per month from the current Idea Book and Catalogue, or any current seasonal catalogue. Orders will be shipped to the demonstrator and then distributed. If I do not place an order any month, I hereby authorise my demonstrator to place a £15 order on my behalf for each month I miss. I will give my demonstrator two undated signed cheques to the value of £15 plus postage & packing at the beginning of the club, or allow my credit card details to be stored within the secure Stampin’ Up system. Unused cheques will be destroyed at the end of the club if they are not used. If you would like to be a part of this exciting opportunity, please contact me with your club preference, and we will get started as soon as we have enough participants for a complete club. There will also be an agreement for you to sign which will be sent out when the club is formed.